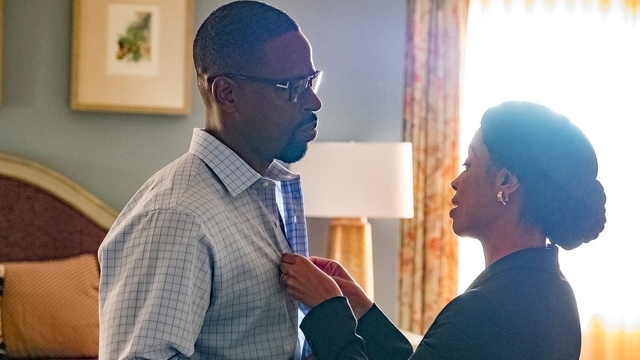 Previously on NBC’s This Is Us, Kevin decided he wanted to learn more about his father’s time in Vietnam, Toby stopped taking his antidepressants, and Randall decided to run against Councilman Brown. In This Is Us season 3 episode 5, we caught glimpses of Toby’s past. In the Toby flashbacks, we see him as a kid and teenager. His parents fighting brought out anxious habits and depression. His mother was on the verge of breaking down while clothes shopping with Toby, but his sense of humor came out to turn her mood around. We then saw Toby going through depression when his first wife Josie left. His mother worked to pull him out of it and get him help. He went to therapy and was prescribed his medication, leading up to him meeting Kate. In the present, Toby wasn’t doing well. Being off his meds was catching up to him. He and Kate were waiting to find out if their singular viable embryo would work. Kate spent the day as an Adele-o-gram and reflected on how her sadness stopped her from pursuing music. Toby lost track of time at an arcade and rushed home. Kate had already received the call. She was pregnant. However, Toby was obviously not okay, so Kate called his doctor. Kevin and Zoe drove to Baltimore to meet Robinson. 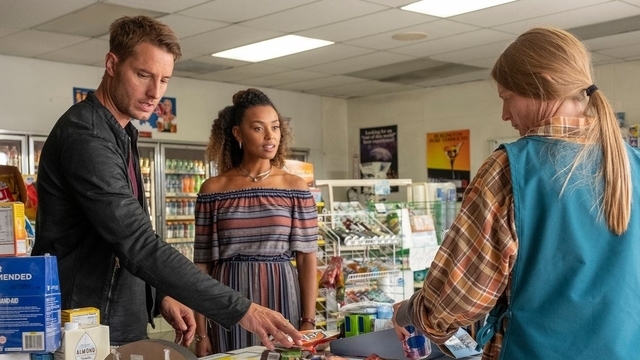 An incident with a gas station clerk and Kevin not understanding why she needed a silk pillowcase highlighted Zoe’s hesitancy to commit to a relationship with him. However, when he recognized the pillowcase was important to her and got one for her, she admitted that he might be worth it. Robinson shed some light for Kevin. He explained that Jack was not a mechanic but a squad leader. Jack had saved Robinson’s life. But when Robinson left, Jack had not been as haunted as Kevin described. He left Kevin with a photo of Jack with a Vietnamese woman we saw from the previous episode. She was wearing the necklace Kevin wore. Randall was holding a campaign event, advertising free food to get people to turnout. When he explained who he was and why he was running, the people quickly turned on him when he talked about Councilman Brown. He realized that he needed a different approach. Meanwhile, Beth had a job interview that day. While she told Randall that she had killed the interview, we see that she started crying during it. During the Pearson family flashback, it’s prom time for the Big Three. Randall and Kevin are going with Allison and Sophie, while Kate stayed at home. When picking up Allison, her mother hugged Randall while her father saw him and walked out of the room. Miguel showed up at the Pearson house with a piano. He stayed to fix the refrigerator and took out the trash when Randall came home early. He talked to him about his own experience with racism. Miguel also intercepted a drunk Kevin and called Rebecca to let him know he was sleeping at his house. He had promised Jack that if something were to happen, Miguel would look out for the Pearsons. 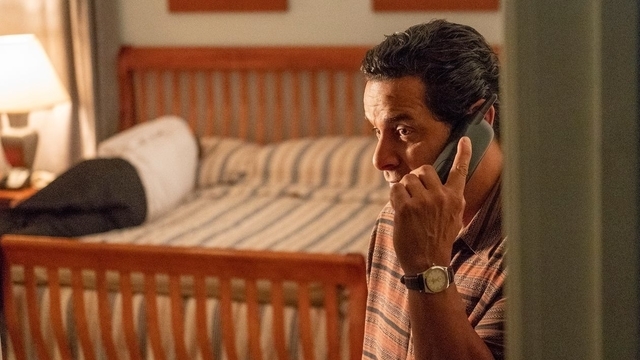 What did you think about This Is Us season 3 episode 5? Let us know in the comment section below!